According to the Canada Mortgage and Housing Corporation, 12.5 per cent of all Canadian households experience an affordability crisis every day. Let me be clear -- this crisis is not limited to the real estate markets in Toronto and Vancouver. It is endemic and disproportionally affects low income working families, seniors, Indigenous people and recent immigrants. This is a large segment of our population that continually struggles to pay for the necessities of life. Canada has recently been held up as a shining example of a progressive nation. Just while countries across the Atlantic and south of the border appear to be adopting a more closed door attitude, Canada is forging ahead with inclusive policy and getting recognition for doing what's right. This positive momentum places even greater emphasis on an issue that challenges Canada -- we are on the verge of a looming housing affordability crisis that comes with dire socio-economic implications for all Canadians if left unchecked. Over the next three to five years, the bulk of government operating agreements that provide subsidies to co-operatives, non-profit and public housing providers to house more than 540,000 families will come to an end, dramatically affecting many of these families. According to the Canada Mortgage and Housing Corporation, 12.5 per cent of all Canadian households experience an affordability crisis every day. That will drastically increase as operating agreements conclude. Access to affordable housing units will dry up, while rent will increase significantly. In effect, low-income families will get squeezed at both ends. Let me be clear -- this crisis is not limited to the real estate markets in Toronto and Vancouver. It is endemic and disproportionally affects low income working families, seniors, Indigenous people and recent immigrants. This is a large segment of our population that continually struggles to pay for the necessities of life. Affordable homeownership changes that. 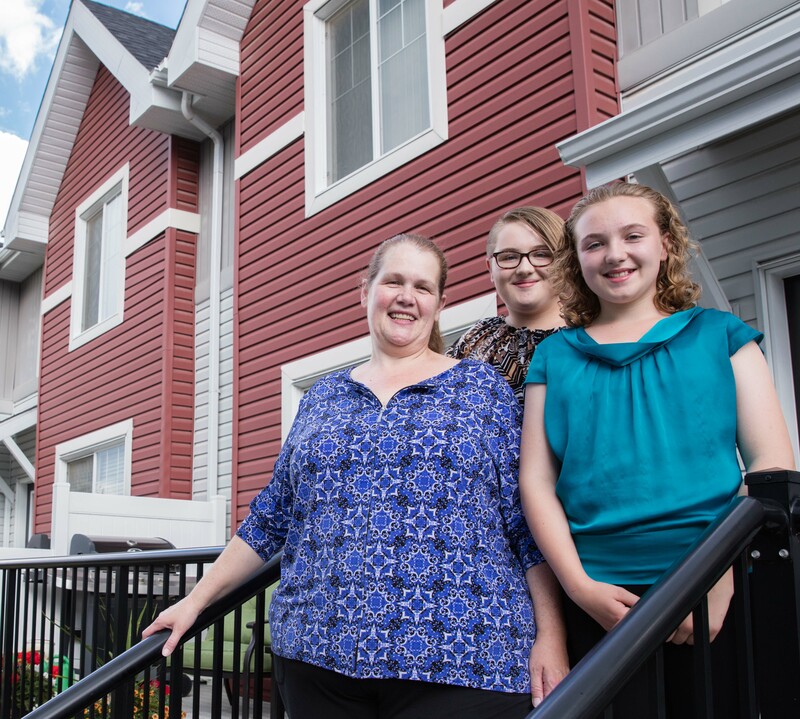 According to a recent study conducted by the Boston Consulting Group on behalf of Habitat for Humanity Canada, on average Habitat generates $175,000 of benefits to society per partner home. These benefits come in the form of reduced reliance on social housing and food banks, better educational and employment outcomes, improved health and more physical activity for Habitat partner families. The knock on effect improves living standards for all of us. Healthier Canadians put less strain on infrastructure and well housed Canadians are more likely to make a positive impact on the economy. Having a national housing strategy aligns with Canada's poverty reduction strategy and positions us for long term prosperity. That's why today - World Habitat Day - is so important. It forces us to confront the fact that Canada is the only G8 nation without a national housing strategy. This is so at odds with a country as rich in capacity as Canada. The good news is that important developments are taking place that are changing how we respond to this crisis. 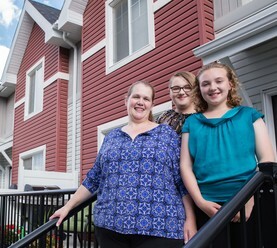 The federal government recently launched consultations for a national housing strategy, and has demonstrated its strong support for the affordable housing sector by delivering a federal budget that invests substantially in affordable housing for many groups of vulnerable Canadians. This is the first time in Canada's history that government has taken action of this kind. More importantly, there is a growing acknowledgement of the need to invest in the complete housing continuum -- from homelessness all the way to market housing, as they are all interrelated. Habitat for Humanity plays a significant role in the affordable homeownership continuum. Our approach helps low income working families break the cycle of poverty. Families pay no more than 30 per cent of their income towards their mortgage freeing up money to spend on the necessities of life. That's a key element of our offering, and is possible because our business model is the result of many different stakeholders working in concert toward the same goal. The model is self-sustaining and funded by mortgage payments, contributions from individuals, and the private sector. Government also plays a role, but it shouldn't be expected to do all the heavy lifting. For example, support from Indigenous leaders, volunteerism and community activism are equally as important. In short, it's about neighbours helping neighbours -- each one of us choosing to make a difference. Next year, we are giving Canadians the chance to make that difference. We are hosting the 34th annual Jimmy and Rosalynn Carter Work Project, building 150 new homes in celebration of Canada's 150th birthday. 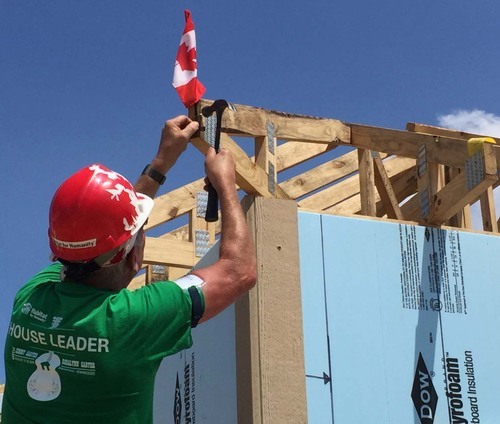 In July 2017, former President Jimmy Carter and Mrs. Carter will be supporting Habitat for Humanity, along with thousands of volunteers to build homes for low-income Canadian families. Their tireless effort will help raise awareness of the critical need for affordable homeownership. The time is now for Canadians to demonstrate their commitment to solving this issue, by advocating for more effective housing options, including affordable homeownership. As the future of vulnerable families teeter on a precipice, we must work together toward a viable solution. Solving Canada's national housing crisis begins at home.